In light of the recent attacks in Paris and San Bernardino, California, the issues of terrorism and gun control accelerated into the national spotlight, and Saturday night's Democratic debate was no exception. Democratic front-runner Hillary Clinton and Vermont Sen. Bernie Sanders both answered questions about gun control, at which point former Maryland Gov. 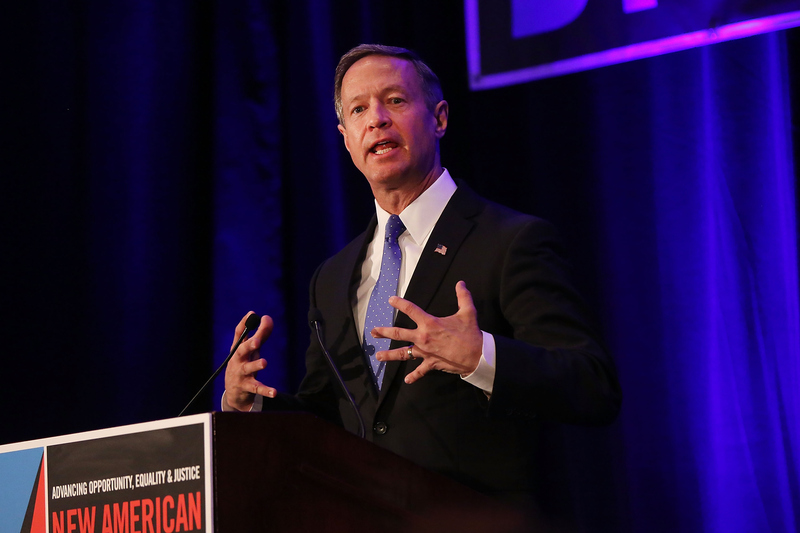 Martin O'Malley strongly defended his record on gun control. Sanders and Clinton were both asked whether Americans were wrong to want more guns after the attacks in San Bernardino. Clinton was explicit in saying that they were. "Guns will not make Americans safer," she said. "We lose 33,000 people a year to gun violence. Arming more people is not the appropriate response to terrorism." Sanders, meanwhile, argued that while owning guns is Americans' right, criminals should not be allowed to own guns. He also argued that an instant background check is vital, and that the candidates should try to bring together the mass majority of people who believe in sensible gun safety regulations. At this point, moderators Martha Raddatz and David Muir prepared to move on, but O'Malley jumped in to say that he was the only candidate on stage who had actually passed comprehensive gun safety legislation with an assault weapons ban. Raddatz and Muir assured O'Malley that he would have a chance to talk later and pointed out that he was breaking debate rules, but O'Malley passionately plowed on. He criticized his fellow candidates for "flip-flopping" on the issue of gun control, calling out Sanders for voting against the Brady Bill and Clinton for changing her stance on the subject during every election season. O'Malley went on to tell Raddatz that he would not confiscate assault weapons that were already owned by Americans, but he insisted that he would stand against the prospective purchase of combat assault weapons. Finally, O'Malley said that his fellow candidates were, in part, responsible for ISIS training videos by "telling lone wolves" that the easiest way to obtain assault weapons is at a gun show, at which both Sanders and Clinton told O'Malley to "calm down" and "tell the truth." Subsequently, Raddatz and Muir gave the two candidates a chance to respond to O'Malley. Sanders defended his own track record of standing up to the gun lobby despite coming from a state whose governors have passed virtually no gun control legislation, while Clinton applauded Sanders for shifting his perspective on gun control and asked her fellow candidates to join her in fighting for more comprehensive legislation moving forward. Saturday night's debate was one of O'Malley's only remaining chances — if not his last one — to achieve some real name recognition, and it is clear that he wanted to make the most of this opportunity. His decision to interrupt the moderators, though, was not necessarily a popular one, even though it launched a critical conversation about the candidates' stances on gun control. Numerous people took to Twitter to criticize the former governor of Maryland. Nevertheless, O'Malley used the moment to make his position known. He is struggling to remain relevant in the Democratic race — he has been steadily polling in the single digits throughout his campaign — and although the interruption violated the debate regulations, it forced each of the candidates to be more transparent about their records on gun control.